Ideal for professional A/V installations, more rugged than the 200 series but still small enough to be portable. All 500 series systems are WQXGA resolution and higher. 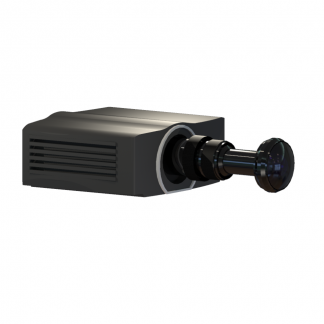 This single-chip DLP light engine provides high brightness and increased resolution in a small form factor. Choose between OmniFocus truncated or fulldome lens options. Motion platform rated, this is an excellent choice for simulation. The newly developed color wheel technology provides the broadest color gamut in the industry. Active stereo capable (3,200 lumens). Folded lens options now available! Contact us for more information. 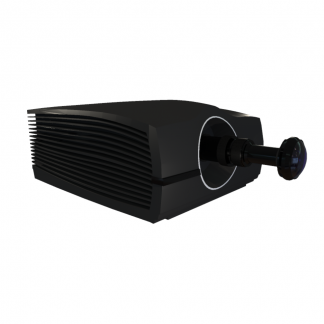 Based on the same WQXGA single-channel DLP as the other 500 series system, the upgrade provides 4k resolution with a high brightness laser light engine for 20,000 hours with no maintenance. The black levels of this system are amazing.